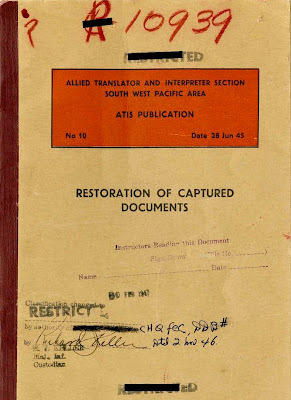 The Combined Arms Research Library has recently uploaded to its Digital Library a 1945 manual called "Restoration of Captured Documents" (available here) from the Allied Translator and Interpreter Section, South West Pacific Area. The manual was "designed to facilitate the extraction of intelligence from illegible documents of Japanese origin" and notes that the "methods described have given excellent results at ATIS, SWPA and other organizations in the same field." 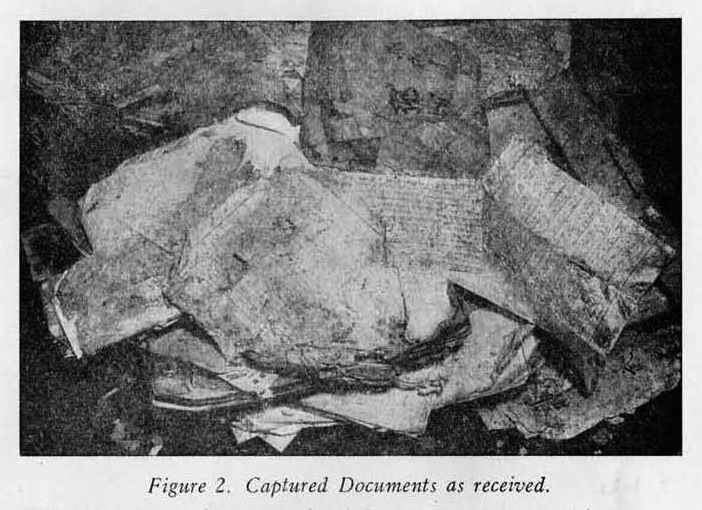 "Captured documents have been found to be an excellent source of intelligence but, frequently, the extraction of information from them has been difficult, if not impossible, because of their poor condition. 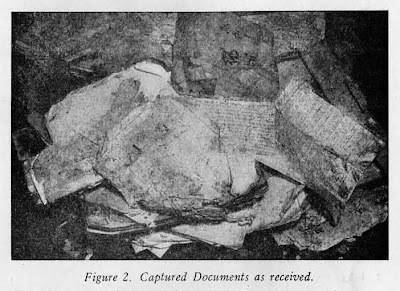 Picked up on the field of battle and elsewhere in conquered or liberated territory, these manuscripts are usually wet and often covered with mud, mold, blood or excreta." 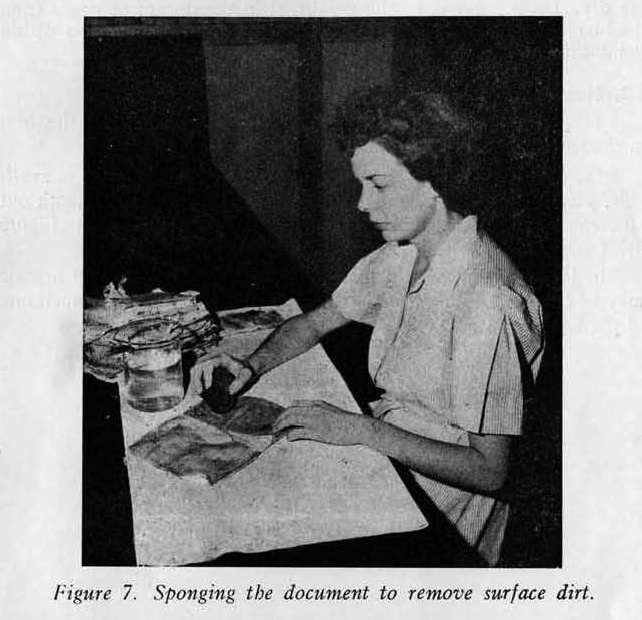 The manual provides detailed written guidance and pictures on the "rehabilitation of dirty documents," "deciphering illegible writing," and the "treatment of charred documents."